Now that Christmas is all wrapped up and the new year is in full swing it is time to get on with some crafting. As January and February are chocked full of birthdays I thought I would get into action and get some cards made. Consequently the card I am about to share with you is the first of several that I am working on. 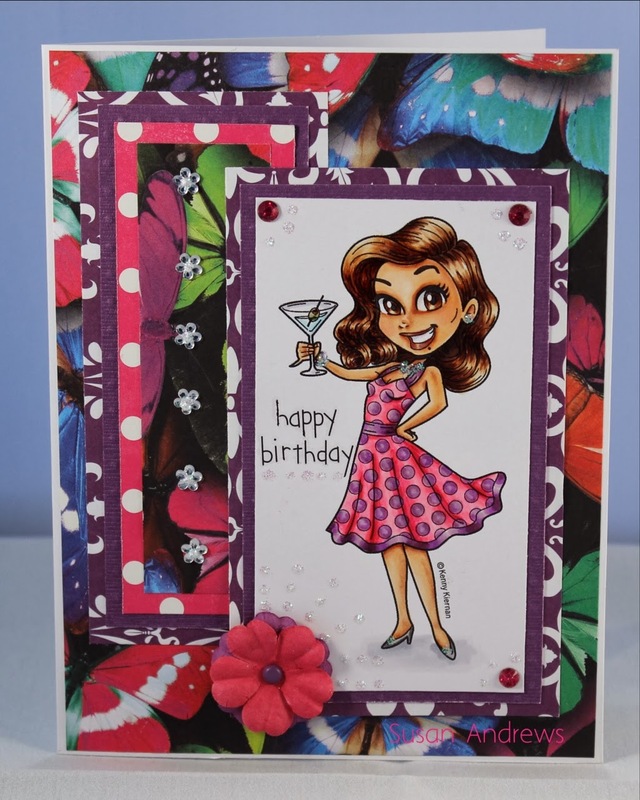 As an added bonus not only am I able to use this card in the Kenny's Krafty Krews challenge of Anything Goes with a twist of Bling, but I also get to wish a very happy birthday to a great friend whom is always thinking of others. So with no further ado "Happy Birthday" and Many Happy Returns of the Day. 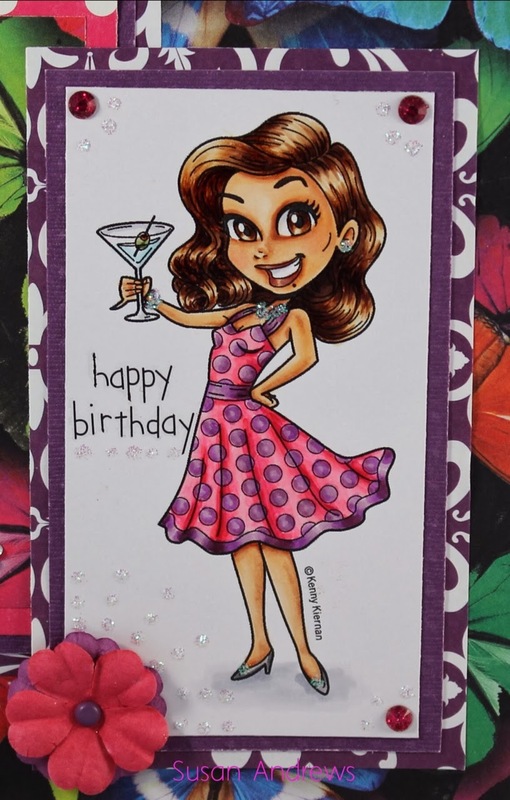 Furthermore this totally sassy, fun loving Happy Hour digi stamp is the perfect image for sending a birthday celebration greeting. Fun, fabulous colors and amazing coloring! Her hair is awesome! Thanks for joining us at KennyK's Krafty Krew! Your colouring is spectacular!!! Thanks so much for playing with us at KennyK Krafty Krew’s *Anything Goes/sparkle* challenge ! Good luck in the prize draw & top 3!